It’s easy! 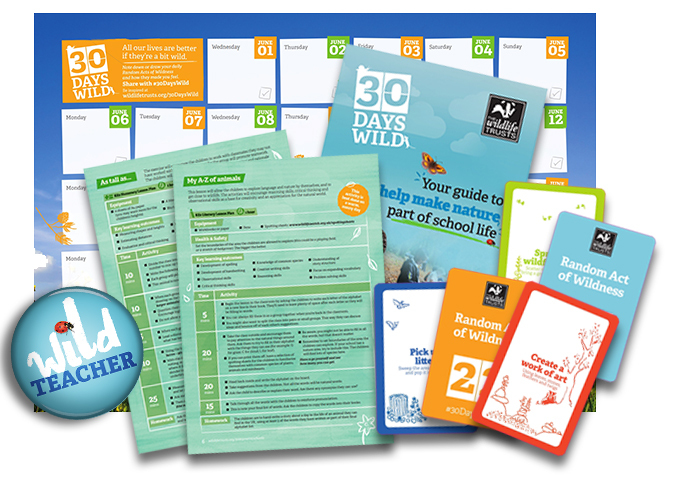 We want you to do something wild every day throughout June: that’s 30 simple, fun and exciting Random Acts of Wildness. It might seem like a no-brainer, but we've been working with the University of Derby to prove that spending time in nature is good for you. 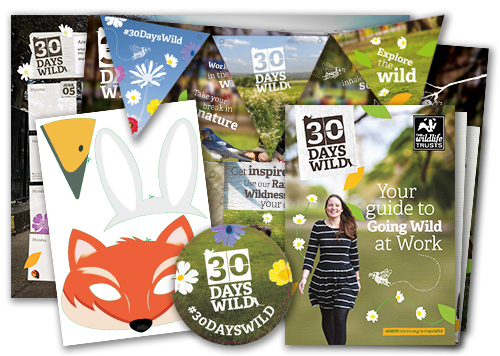 30 Days Wild is all about taking a little bit of time every day to do something a little bit wild, so take the challenge and you might just find yourself feeling a little bit healthier, happier and wilder! 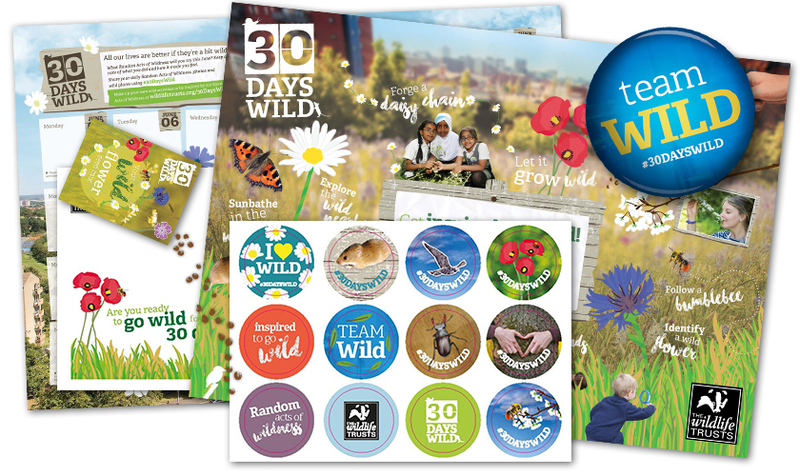 When you sign up for 30 Days Wild, you’ll receive our pack of wild goodies, plus lots of ideas from your Wildlife Trust to inspire you to go wild. But you don’t just have to do what we tell you: why not make up your own Random Acts of Wildness? Shut your eyes to listen to bird song. Take a wild walk at lunchtime. Lie back in the long grass. Search out urban wildlife. Talk to someone on your street about nature. Use wild ingredients to mix a wild cocktail. You can share all the things you do with us on social media using #30DaysWild along with thousands of other people taking part. It's so easy to bring a little bit of wild into your everyday life, so do something wild every day! Spend 30 wild days with your class this June! Whether you take your class outdoors or bring the wild into your classroom, making nature part of school life can open up new ways of learning and engagement for your pupils! Find out more about our Schools Pack! Make your office, shop or work place wild! Whether you walk to work, schedule a meeting in the sunshine or take a lunch break outside, making nature part of your work life can improve your health & wellbeing!